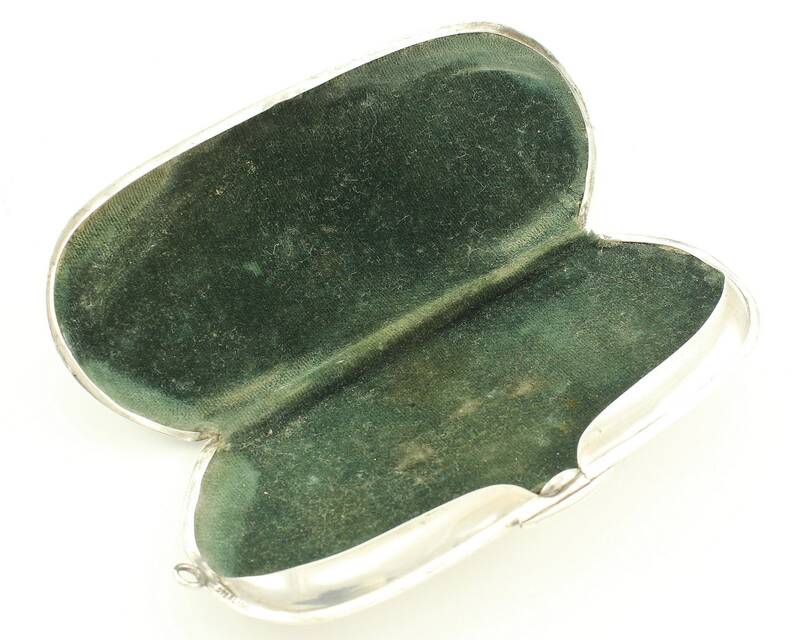 Antique Sterling Silver Eyeglass Case Hand Engraved Scrolls and Flowers. 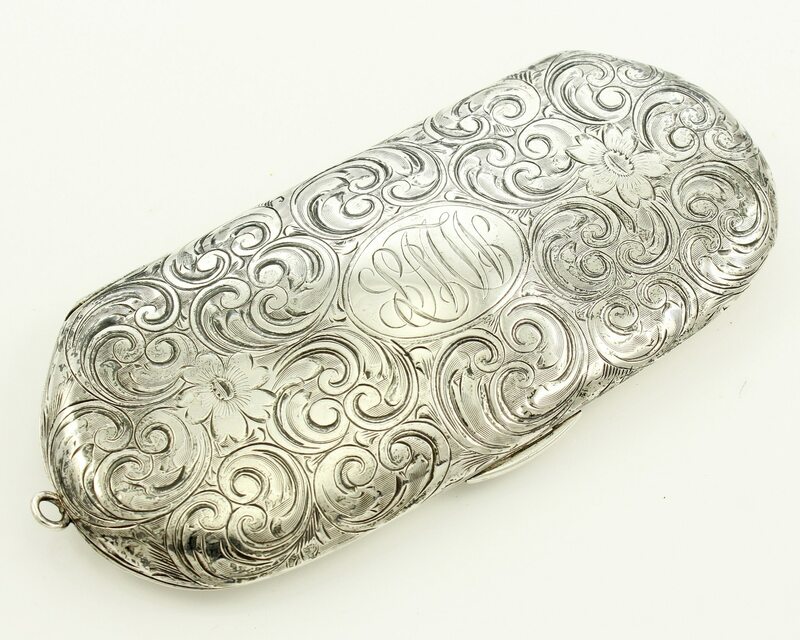 This beautiful spectacle case is decorated on the top with hand engraved flowers and scrolls. The cartouche in the center is engraved with a monogram of LMW. 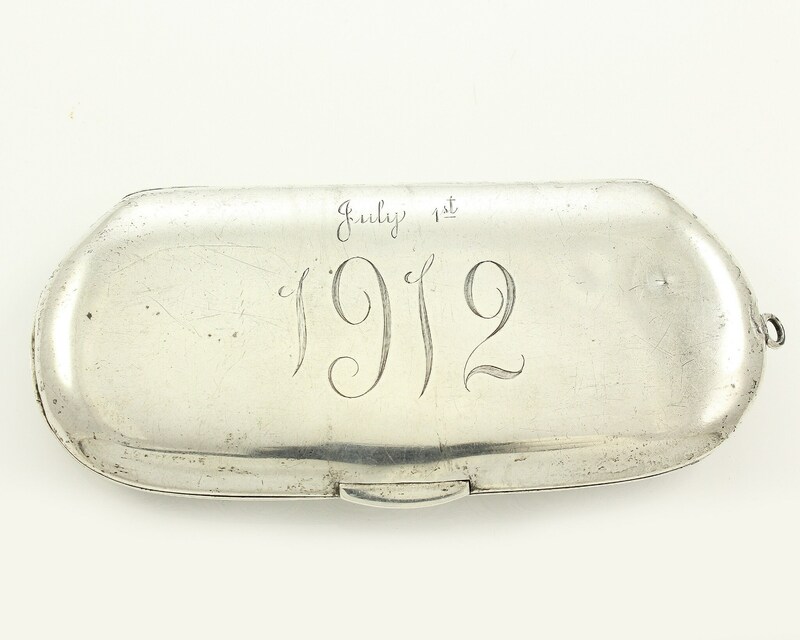 The reverse of the case is engraved July 1st 1912 if beautiful script. The case is finished with a bale, likely for wear on a chatelaine or as a necklace. Lined with green velvet, which has some staining from old paste polish. It measures 4 and 1/2" long (excluding bale) and 2" wide and 1/2" thick. 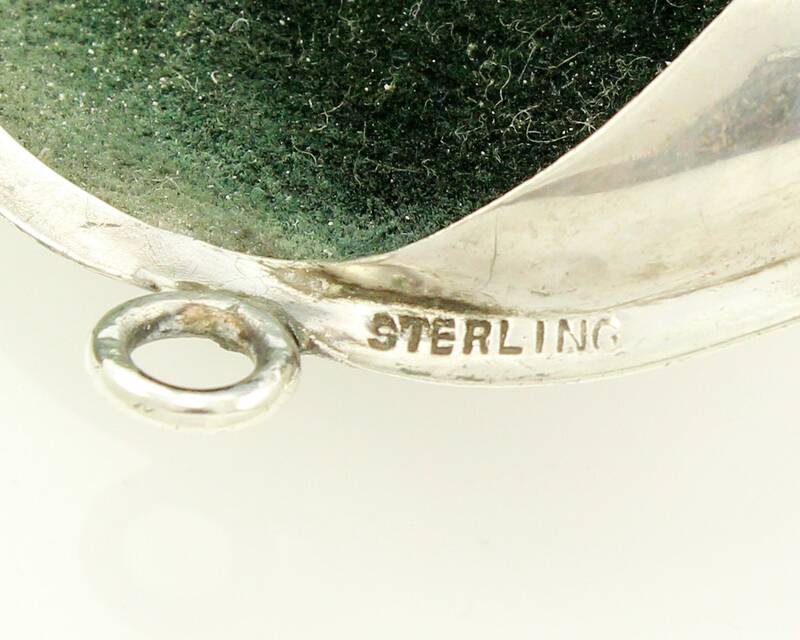 The case opens with a push button closure on the front and is stamped Sterling on the inner lip. In very good antique condition, with a lovely soft patina from wear, several dents on the reverse, and a bend to the bale. CONDITION: In very good antique condition, with a lovely soft patina from wear, several dents on the reverse, and a bend to the bale. MEASUREMENTS: It measures 4 and 1/2" long (excluding bale) and 2" wide and 1/2" thick.